Geoffrey Meurrens and dad Edgard celebrate their milestone. 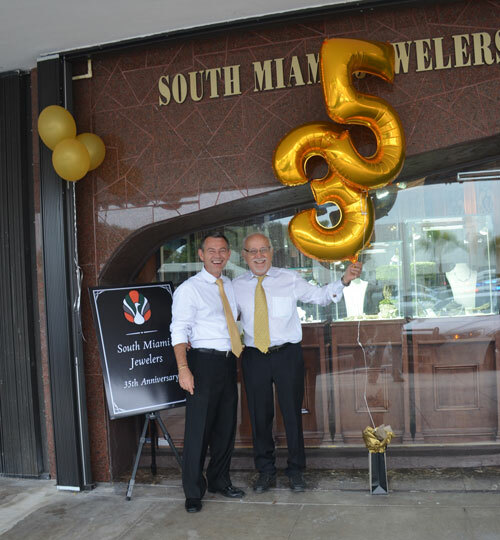 South Miami Jewelers is celebrating 35 years as a family-owned and operated business in the city’s downtown. Established in 1983 by the Meurrens family, the store has become something of a landmark, offering the finest in jewelry, estate jewelry and fine timepieces. The family philosophy continues to be one of trust, treating customers with dignity and providing high quality service. 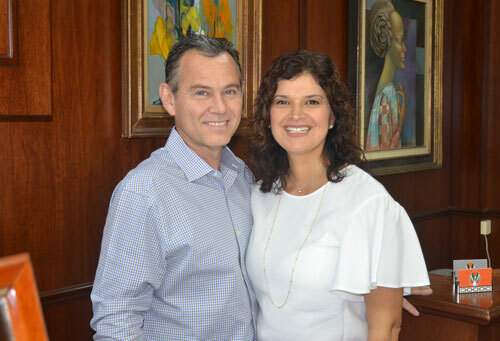 “My father established the store in the old Overholt Jewelers location,” said Geoffrey Meurrens, son of Edgard and Lydia Meurrens. 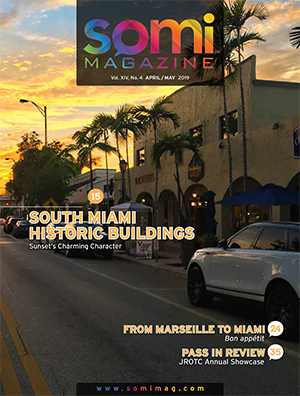 The business continues in the original shop located in the historic Town and Country building on Red Road just off Sunset Drive, expanding its size through time in order to accommodate their growing popularity. The Meurrens family came to Florida from Belgium in 1975. “My father was a diamond cutter and dealer in Europe. 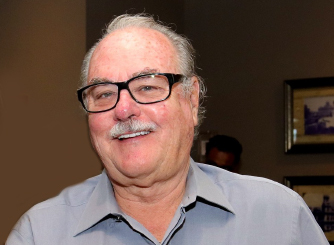 Opening a jewelry store in the United States seemed a good idea to him,” said Geoffrey, who has been involved in the family business since 1989. “I get to use both sides of my brain,” said Geoffrey. Simple and contemporary jewelry is at the heart of the Meurrens’ design philosophy. They keep current with new trends and attempt to stay just ahead of the fashion curve. They also provide jewelry and watch repair. “We keep our overhead low so that we can keep our prices level,” said Geoffrey. Geoffrey’s parents, Lydia and Edgard were once at the heart of the business. In recent years Edgard retired, but continues to keep his hand in by coming to the shop once a week. Lydia Meurrens worked at the store until her passing in 2013. Working on a ring is certified jeweler Ursula Comin who has been with the Meurren’s for 22 years. Geoffrey and his wife Ericka now manage the store. In the last six years, Ericka has been working to increase online presence by maintaining the store’s website, improving Google reviews, keeping current with social media and posting to Pinterest. 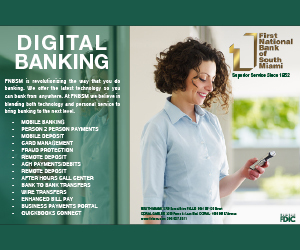 The bricks-and-mortar store and the e-commerce site have proven to be a winning combination for the continued success of the business. When asked about current trends in jewelry, Ericka said that customers are interested in smaller, more delicate designs, yellow gold and estate jewelry. 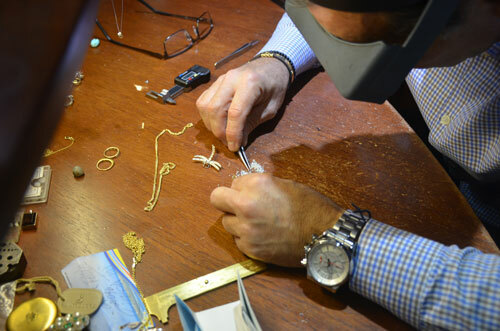 Geoff working on the dragonfly pendant, a signature jewelry piece. On occasion of the store’s 35th Anniversary. Geoff is re-introducing the necklace. “Estate jewelry comes with a story. This makes our showcase of items, many from the WWII era, very popular with our clients,” said Ericka. In addition to their jewelry line and estate pieces, the store also sells fine watches, and buys gold. They provide repair services and offer very competitive prices on watch repair and maintenance. 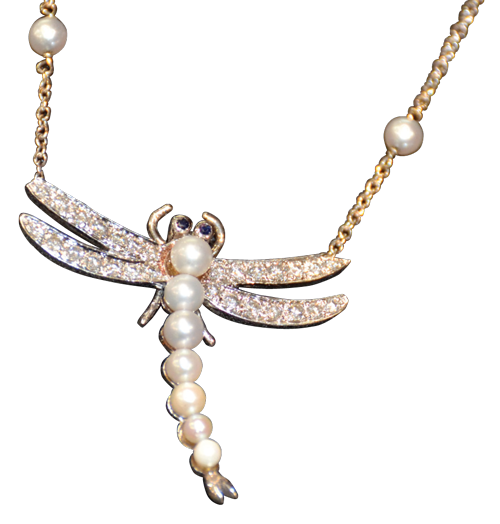 In pictures taken for SOMI Magazine, first for our May 2006 Mother’s Day issue and five years later for the family photo taken for our October/November 2011 issue, Lydia is pictured wearing the same dragonfly necklace of white gold, diamonds and pearls. “It was her favorite piece,” comments Edgard. The Dragonfly lives a shot life, and it knows it must live to the fullest with what it has. This lesson is huge for each of us. When you see a dragonfly, be aware of the gifts it has to offer by keeping its animal totem meanings in mind. 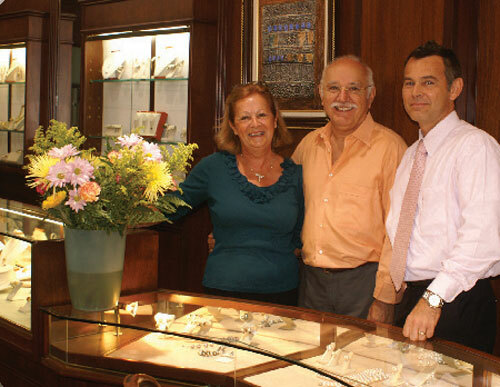 Making the customer feel welcomed and comfortable in their shop is a hallmark of South Miami Jewelers. The Meurrens’ will work with you to make informed decisions about your purchases. 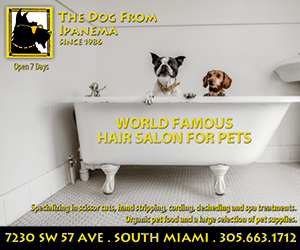 South Miami Jewelers is located at 7214 SW 57th Ave. Visit them at www.southmiamijewelers.net, or contact them at 305-667-1898.